When people think of grief, they usually relate it to the period following the death of a loved one. What many people don’t realize is that the grieving process can actually start before someone has died. Anticipatory grief is a reaction that occurs before an impending loss. Family and friends of someone who is suffering from a debilitating condition, has declining health or is in hospice care are examples of situations that may trigger anticipatory grief. This type of grief can be more difficult or intense than normal post-death grief. Intellectually, we all understand that “everyone has to go sometime,” but being faced with inevitability on a day-to-day basis can increase anxiety about how much time we have left with our loved ones. Symptoms of anticipatory grief can vary and may include: a heightened concerned for the loved one, imagining their death, a greater sense of urgency to complete unfinished business, depression, exhaustion, and mourning the loss of their loved one’s independence and personality. 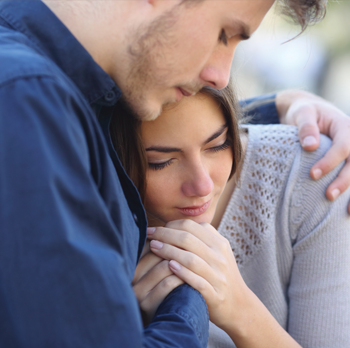 It is important to remember that while anticipatory grief is natural and can actually help prepare for the loss of a loved one, it can also be overwhelming. There are things that can help you cope if you experience anticipatory grief. Connect with others: The stress created from anticipatory grief can be great, so make sure you stay connected with people. This can be family, friends or support groups that include others going through the same type of situations. Reflect on the remaining time: Reflect on how you want to spend the remaining time with your loved one. Share old memories, talk with them about their bucket list and discuss their final wishes. Don’t allow the stress of the situation diminish the time you do have left. Take care of yourself: Make sure you are taking time to take care of you. Finding an outlet for your stress will help you through this difficult process. Rely on your support system: Often, when people are stressed, they resist accepting help from their support systems. Falling back on others and accepting their help will relieve some of your stress and allow you to enjoy some of the remaining time with your loved one. The last thing to note about anticipatory grief is that those who experience this type of grief are not immune to experiencing the separate and different grief once their loved one passes. While neither is easy, each type of grief is normal when experiencing loss.